But could it work the other way around? 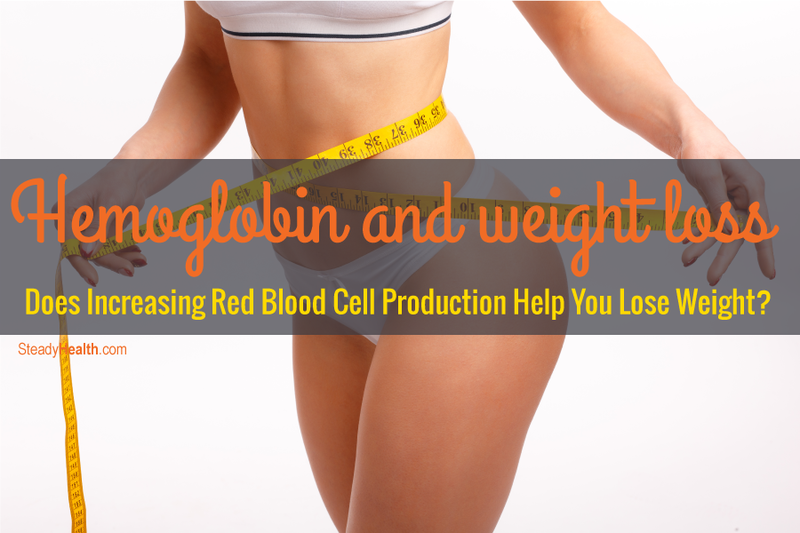 Could high hemoglobin lead to easy, non-surgical weight reduction? Scientists have observed that children who have high levels of ferritin, that is, their iron stores are bound to a storage protein, tend to have stronger appetites. They naturally want to eat more. At least in laboratory studies with animals, when there isn't enough iron for fat cells, those cells lose their ability to generate leptin, the hormone that fat cells use to send a message to the brain that you have eaten enough . When obese adults don't get enough iron, their bodies can't burn fat to make heat when they get cold (or at least not very efficiently), causing them to stay overweight . It's only natural for a non-scientist to wonder if maybe one of the keys to easier weight loss might not be simply to take iron supplements, and achieve high hemoglobin levels so the body could burn more oxygen and more fat at the same time. Make sure you actually have low iron levels. Your doctor has to run a blood test. If you have low iron levels, then start taking supplements. Add dairy products to your daily meal plan, some dairy at every meal. Don't slack off on your exercise. Don't overdo whole grains, legumes, and nuts. These foods in small doses help regulate iron, but if you eat them more than once a day, your body becomes more efficient at absorbing iron from food , and that iron has to be bound into ferritin. Don't be afraid of butter. It's one of the best food sources of a compound called heptadecanoic acid. This anti-inflammatory chemical helps regulate iron metabolism, and animal studies find that it, surprisingly, helps with weight loss . If you eat lots of potatoes or bread with your butter, of course, you'll defeat the benefits of the food. Twenty grams (a generous tablespoon) of butter every day is enough, and its calories count in your total. Eat sweet bing cherries. Don't make them sweeter with sugar! The cherries themselves, however, lower ferritin levels, sometimes as much as 20 percent, and they also bind to glycation end products, slightly lowering HbA1C, the measure of sugar consumption in diabetics . Just don't undo their benefits by baking them into cherry pie. Eat the cherries, not the pie. Up to 100 grams a day, again, included in your total calorie count, usually help. Eat Butter, Lose Weight: The Right Diet to Lose Fat? An anti-inflammatory diet requires management of iron metabolism. Iron metabolism is one of the keys to losing weight, but it's not all about getting more iron. It's about getting more available iron in the right forms to the right tissues. Some of the changes to diet that reduce inflammation are counterintuitive. A small amount of dairy, a small amount of butter, and a small amount of cherries every day make a healthy difference in your weight, but you still have to exercise and restrict total calorie consumption.